Black stones and crystals are set in a garland-style necklace brimming with feminine elegance. 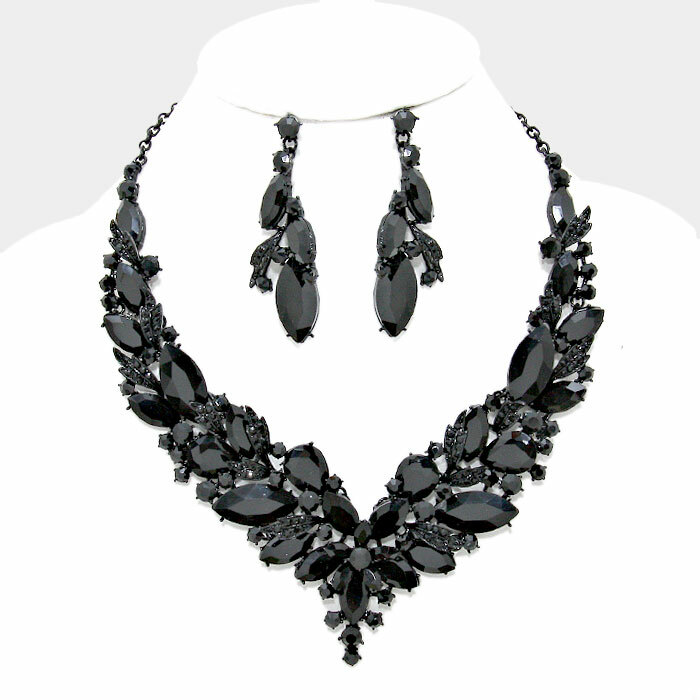 Camilla Crystal Necklace Set also includes matching drop earrings. Buying jewellery online has never been so easy and fun. We hope you enjoy shopping at Oz Bling.